Are you looking to go on a whale watch tour this summer in Massachusetts but don’t want to pay full-price? 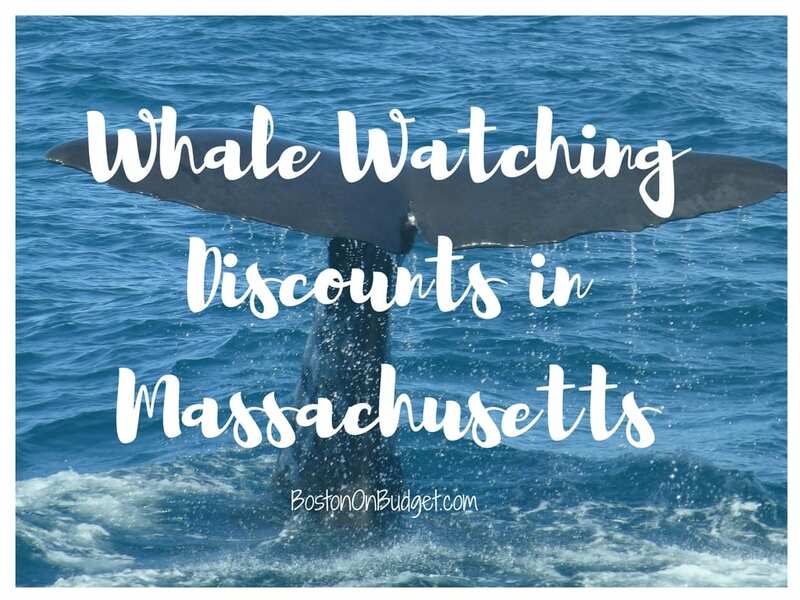 There are so many ways to save on tickets for Whale Watching in Boston and Massachusetts! Keep in mind there’s only one whale watch tour directly out of Boston and that is the New England Aquarium Whale Watch from Boston Harbor Cruises. However, there are a lot of different options from North Shore and South Shore towns in Massachusetts as well! Some links may include affiliate links which means I receive a small percentage if you make a purchase through an affiliated link. Please see my disclosure policy if you have any questions. Thanks for supporting this local blog! Buy tickets through Viator at full-price but new users can sign up for their e-mail for special offers/promo codes or get a free $10 credit if you sign up through a referral link. Discount tickets available for a limited time with this Groupon Daily Deal, terms and conditions may apply currently listed on Groupon & you can buy tickets through them but no deal since it’s for full price tickets at $53! 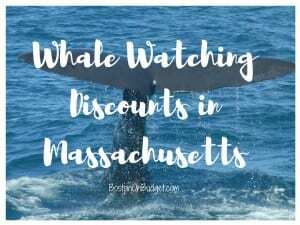 Did I miss any of your favorite whale watching tour discounts in Massachusetts? Will you be going on a whale watch soon?